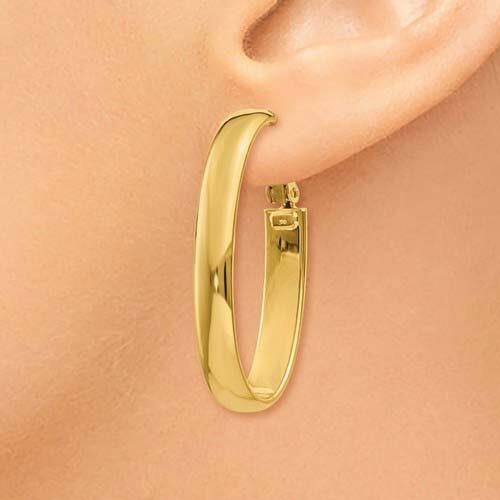 14kt yellow gold oval hoop earrings have a smooth polished finish. 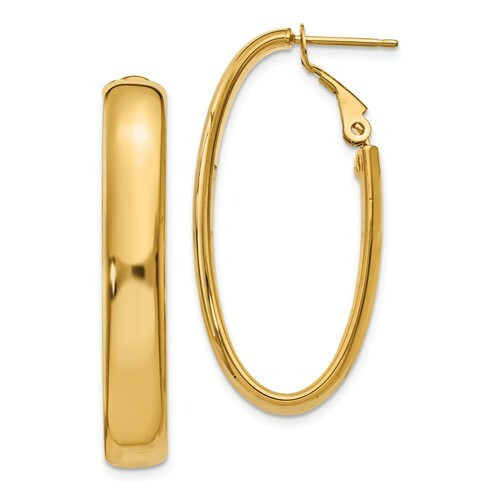 Item size: 1 3/8in x 5/8in. Item thickness: 5.5mm. Omega backs. Weight: 2.9 grams. Made in Italy.